First: Chandeliers Are Super Challenging To Access! Beautiful as they are, chandeliers are extremely tricky to access. They’re located high up in ceilings in places that are inaccessible if you don’t have the right type of ladder. Even worse, they’re often located in very open, high-traffic areas, so safety is a concern. These reasons alone make it beneficial to have professional cleaners service your chandeliers and other elaborate light fixtures, rather than trying to do it yourself. While there’s a place in this world for DIYers, it’s best to leave chandelier cleaning to the pros! Have you ever noticed how many tiny little pieces each chandelier contains? The very aspect that makes these light fixtures so beautiful, elegant, and eye-catching is what makes them a pain to clean. It will take you a very long time to wash your chandelier, and in the end, you may not even be able to reach every little spire, hoop, or crystal. 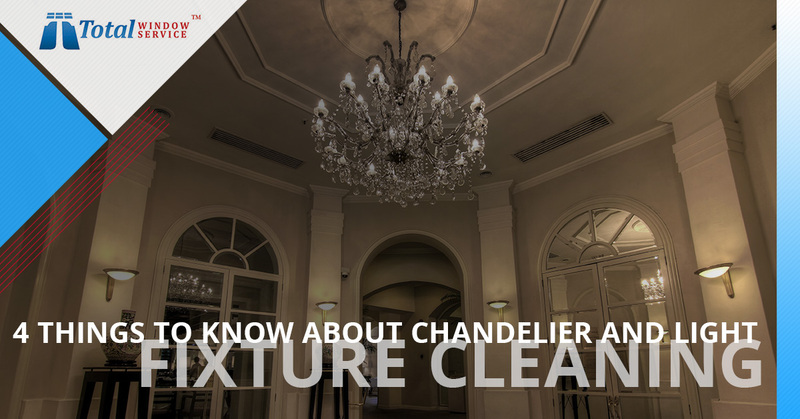 Save time and money by hiring professional chandelier and light fixture cleaners to handle this task. Total Window Services has the ability to take care of this job for you. We’re much more than window washers. We’ll be happy to clean all your lights, too. Whether you’re running a business, or you’re managing your household, you have many important tasks to handle. Cleaning your chandeliers and other light fixtures is just a bothersome undertaking to add to your endless list of things to do. Leave this maintenance job up to the professional cleaners, and you’ll have more free time to enjoy (or to tackle those other important tasks on your list). We’re not going to lie: it takes a certain set of skills to be able to climb up on a tall ladder and reach lights that are almost impossible to access. You have to overcome any fear of heights you might have. You have to have excellent balance. And you have to be able to keep calm while you’re moving around, cleaning something of beauty to achieve sparkling clean condition while working from an awkward position. Not everyone can do this. 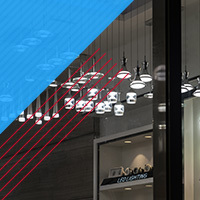 So why not leave it up to a window service enterprise that also handles lights? Of course, we hope that you select Total Window Service for all of your window cleaning needs in New York City. We take good care of our commercial and residential clients, ensuring that their windows are squeaky clean and reflect a positive image, at work and at home. But we also want you to know that we’re available to keep all of your chandeliers and light fixtures beautifully clean, too. We have the equipment and the know-how to get the job done right, at affordable prices, saving you both time and money. Contact us today, and we’ll give you a fair and accurate estimate.